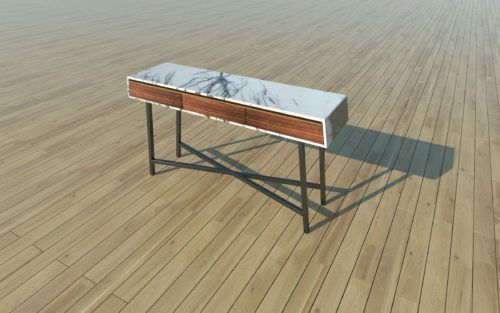 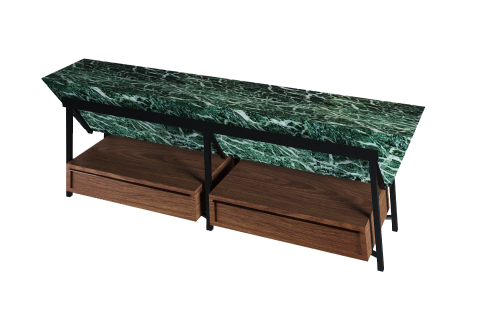 Console tables. 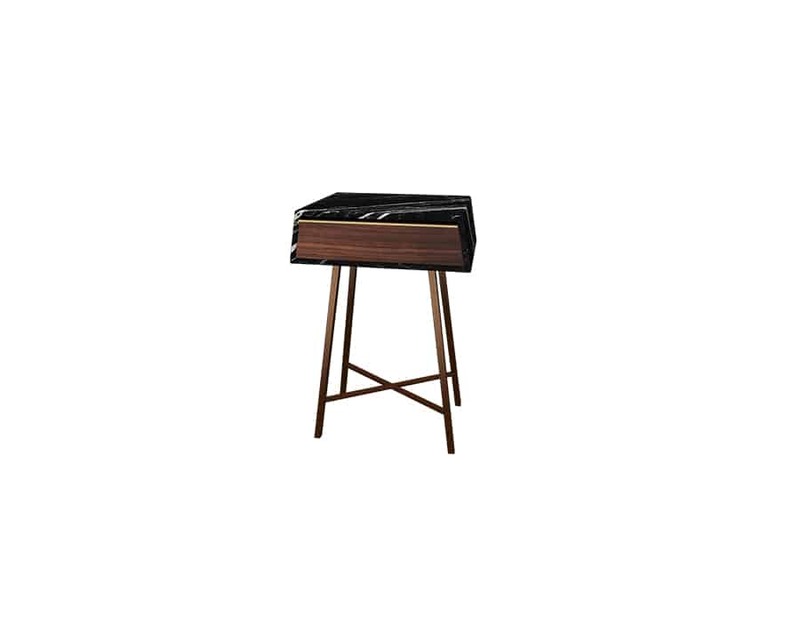 Very light looking, yet useful with built in drawers. A squared trapeze shaped top with built in drawers. 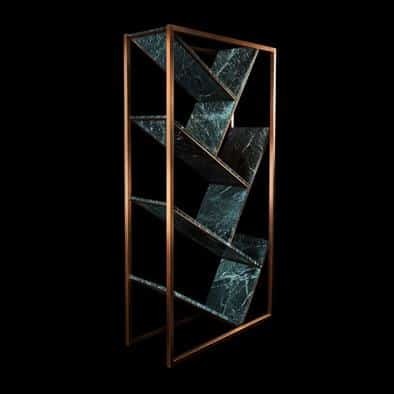 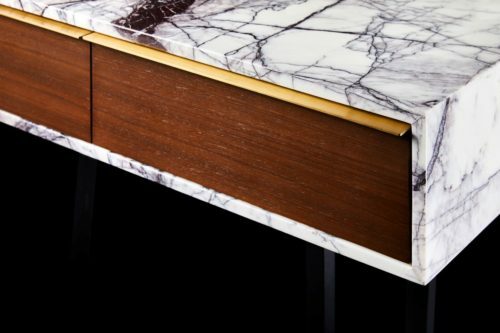 The handle made out of brass and handcrafted metal legs. 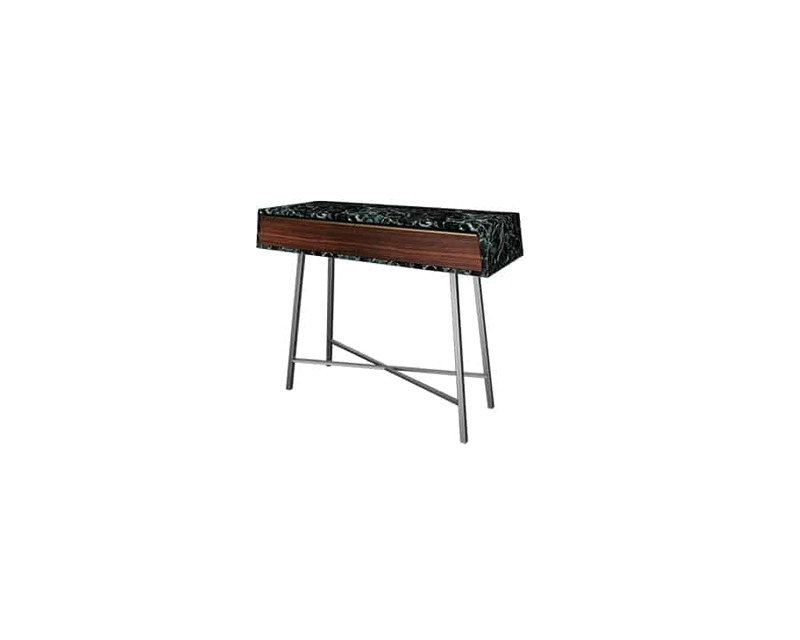 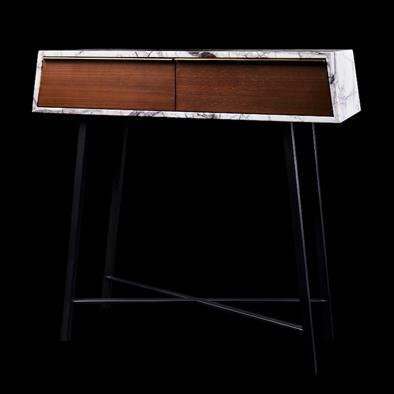 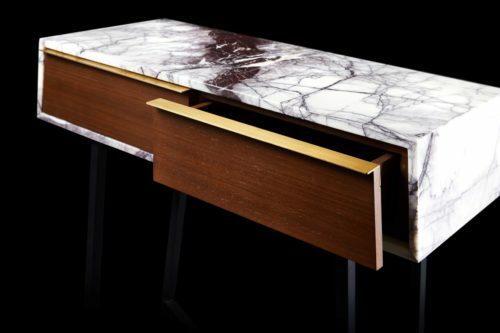 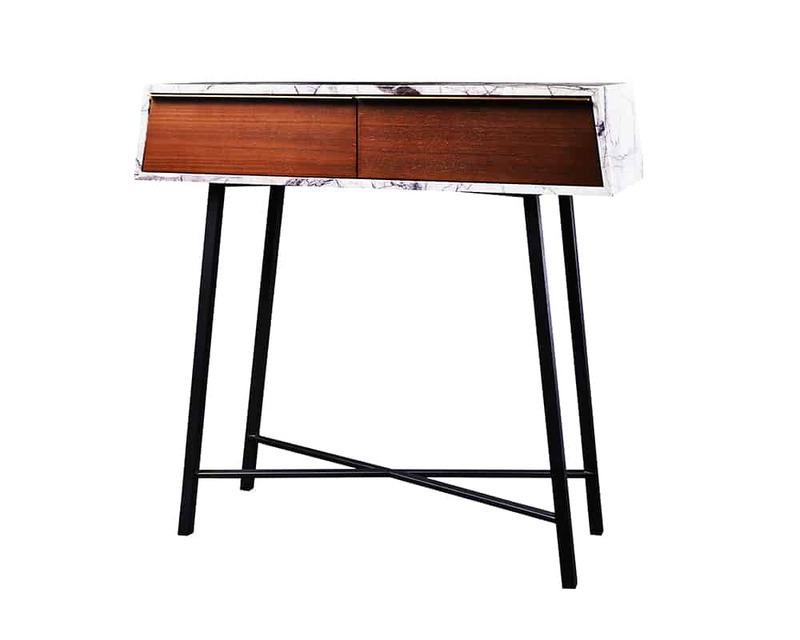 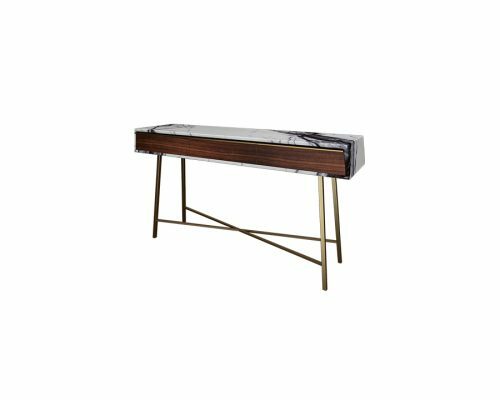 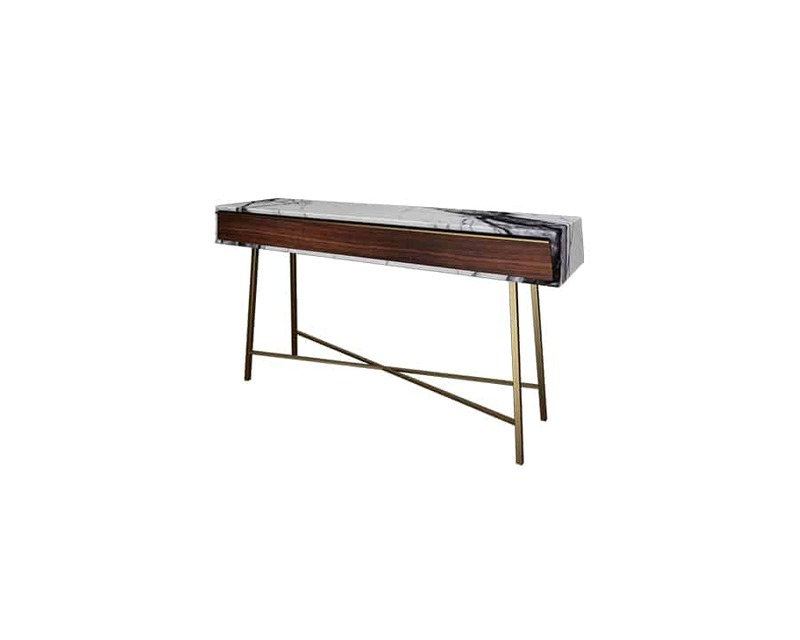 Pictured: Console table with two drawers made from White Mountain marble with black iron powder coated legs.